At first glance the Ukraine association agreement appears to realise the Brexiteers’ vision of greater sovereignty while maintaining close economic ties with Europe. But on closer inspection, it comes at a price that the UK will find impossible to pay, argues Beth Oppenheim. Beth Oppenheim is a researcher at the Centre for European Reform (CER), a London-based think tank. 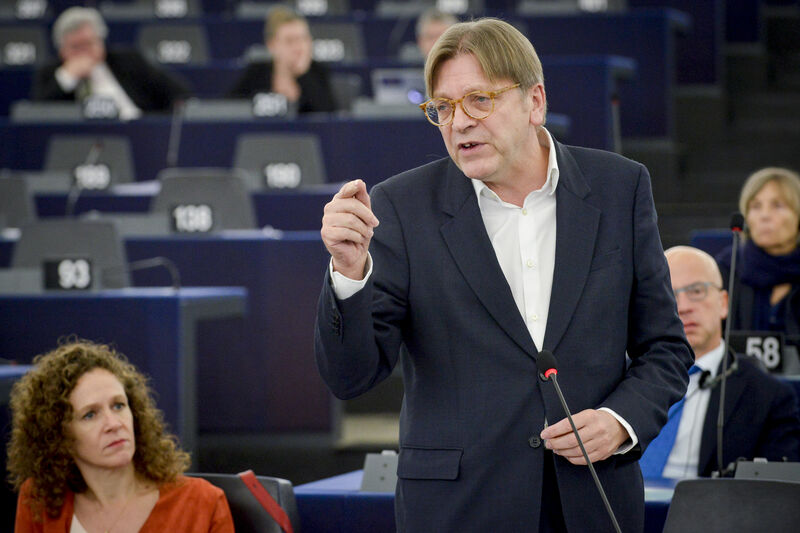 As European leaders gather once again in Brussels, the European Parliament has recommended the UK consider an association agreement with the EU after Brexit. By this, the Parliament simply means an agreement that goes beyond trade – a long-held expectation of both sides. 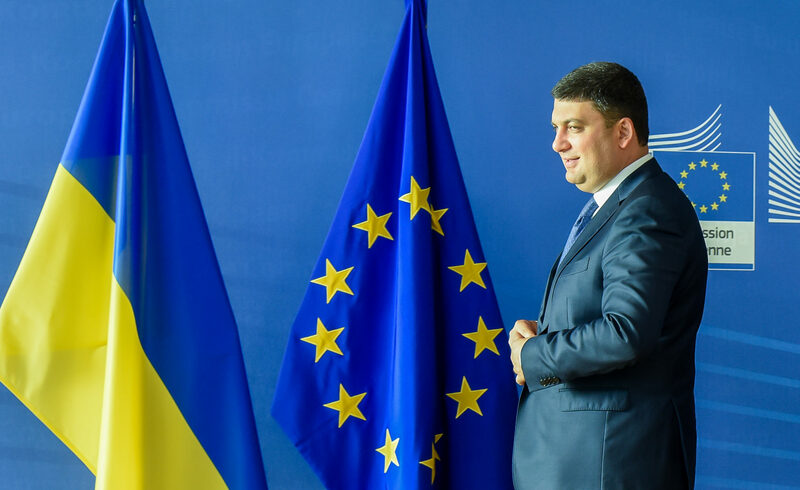 Previous conversation on association has focused on whether to replicate the EU-Ukraine association agreement, the bloc’s most advanced arrangement of its kind. But as we will see, this is not what the Parliament intends, nor is it a viable option for the UK. The European Parliament backed a Ukraine-style “association agreement” as the model for future EU-UK relations after Brexit. At first glance the Ukraine association appears to realise the Brexiteers’ vision of greater sovereignty while maintaining close economic ties. The provisions on goods and services trade are theoretically far superior to those offered by a basic Canada-style free trade agreement. There is also no free movement of EU citizens and the involvement of the European Court of Justice is limited, unlike Norway’s relationship with the EU. But closer inspection reveals that the Ukraine agreement comes at a high price for sovereignty that the UK will find impossible to pay. Further, the Ukraine association is firmly slanted in favour of the EU, and key obligations are omitted not out of generosity, rather out of pragmatism. Association agreements, of which the EU has over 20, are in some ways more attractive than a basic trade deal because they also encompass other areas like security, energy, or the environment. Ukraine is part of a group of such agreements that incorporate so-called Deep and Comprehensive Free Trade Agreements (DCFTAs), alongside Georgia and Moldova. These countries are not members of the European single market or customs union, but are still granted deep and comprehensive market access and customs co-operation – in return for aligning their domestic laws to EU law. The Ukraine, Georgia and Moldova agreements do not include the free movement of people. This would please Brexiteers – immigration was the decisive issue during the Brexit referendum campaign, with fearmongering reaching a fever pitch. But this exclusion would not apply to the UK. The EU does not want high levels of immigration from poorer eastern European countries, where living standards and wages are lower. In contrast, the UK is already home to 3.7 million EU citizens – and 1.3 million Brits live elsewhere in the EU. Furthermore, the EU has already said that if the UK wants to end free movement, one of the four integral freedoms, it cannot enjoy the benefits of EU membership – or in EU-speak, it cannot ‘cherry-pick’ what it wants from the EU and leave what it doesn’t. That could embolden other EU governments facing eurosceptic, anti-immigration pressures to seek better terms outside the bloc. When it comes to commerce, the EU-Ukraine agreement goes a long way to liberalising trade in goods, eliminating 99.1 and 98.1% of Ukrainian and EU tariffs respectively, and removing the need for product testing at the border. However, tariff quotas and testing remain on agriculture and metal products, deliberately restricting Ukraine’s strongest export sectors. Furthermore, Ukraine is not in a customs union with the EU, so border checks are still required. That means a comparable EU-UK association agreement would fail to satisfy the UK commitment to avoiding a ‘hard border’ in Ireland. The Ukraine association has attracted interest because of the ambitious services provisions – far surpassing the limits of the EU-Canada trade deal. The Ukraine deal offers ‘internal market treatment’ on important services including finance, which would amount to the much coveted financial ‘passport’. Passporting would be a boon for the UK, where financial services exports to the EU are worth £22.7 billion. But there are complications on this front too. Access requires alignment, and Ukraine has not yet made sufficient progress to unlock deep access to most EU service sectors, and many are excluded completely. Could UK choose a 'Ukrainian model' after Brexit? British confusion has given rise to hopes and fears that Brexit may not actually mean Brexit. Andrew Duff makes the case for an association agreement when the UK leaves. Ukraine’s agreement with the EU goes beyond trade, allowing it to participate in numerous EU agencies in a range of policy areas. It has full access to Horizon 2020 and Euratom, the EU’s nuclear regulator, as do Georgia and Moldova. The three countries also cooperate closely with Europol. But again, participation is contingent upon alignment with EU law in these areas. The three can contribute to EU civilian and military crisis management operations as well, but they have to align their foreign, defence or security policies with those of the EU – and have no decision-making role – an arrangement that is unlikely to suit the UK. Furthermore, if a dispute arises relating to regulatory approximation or to an interpretation of EU law, the arbitration panel that oversees the association agreement is required to request a ruling from the European Court of Justice (ECJ), whose verdicts are legally binding. Other than on such issues, the arbitrators oversee the agreement without any ECJ involvement. Prime Minister Theresa May has softened her tone on the involvement of the Court, talking of “indirect jurisdiction”. The ECJ’s role in adjudicating the DCFTAs might be indirect, but it is binding. The “indirect” distinction would be a fig leaf, and one that most Brexiteers could not accept. The European Parliament itself acknowledges that such a model would be inconsistent with the UK’s red lines on legal autonomy. The very premise of the association agreements – regulatory alignment – is completely opposed to the Brexiteers’ narrative of “taking back control”. Some members of May’s cabinet favour an inverted version of the Ukraine model, whereby the UK could diverge from the EU in certain areas; divergence would be punished by proportionate loss of market access. But this has been dismissed by the European Commission and the EU27 as “cherry-picking”. Looking beyond the trade and regulatory issues, there is an important geopolitical aspect to this. Ukraine, Georgia and Moldova are located along the fault line of east and west, and their agreements form part of the EU’s neighbourhood policy. The EU views the Ukraine association agreement as a tool for encouraging the country to adopt Western liberal values and democratic norms, and to lure it away from corruption and Russian autocracy. It is also a way for the EU to take accession off the table by offering association in place of membership. 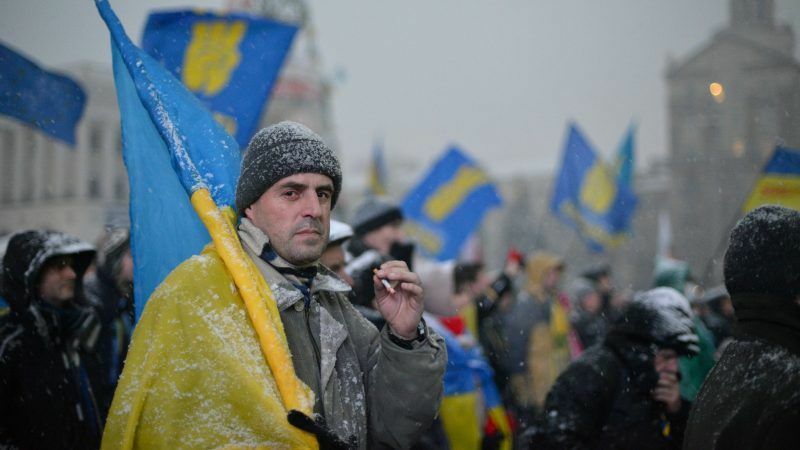 Rather obviously, the UK is no Ukraine – it already shares and upholds European values. There will be an association of sorts between the UK and the EU – but it will not look like Ukraine. Such an agreement would run counter to EU self-interest, and Brexiteers would be humiliated by an arrangement so strongly tilted in the EU’s favour. A longer version of this article is available on the CER website here.